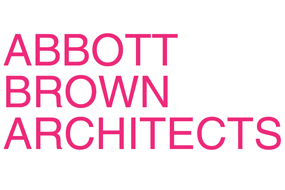 Abbott Brown is an award-winning, nationally published architects’ office with a reputation for fresh, creative design thinking. The two partners, Jane Abbott and Alec Brown, have combined experience working in Vancouver, Berlin, London, Copenhagen, and Toronto. Both also teach part-time at the Dalhousie School of Architecture. We bring an open-minded attitude, we listen, and we look for the hidden potential in any given scenario. Our spaces are sensitive, bright, simple, and bold, often with elements of surprise. We work enthusiastically with owners, builders, consultants and craftsmen to bring these qualities out in all our projects. Follow Abbott Brown on Twitter, Facebook and Instagram.